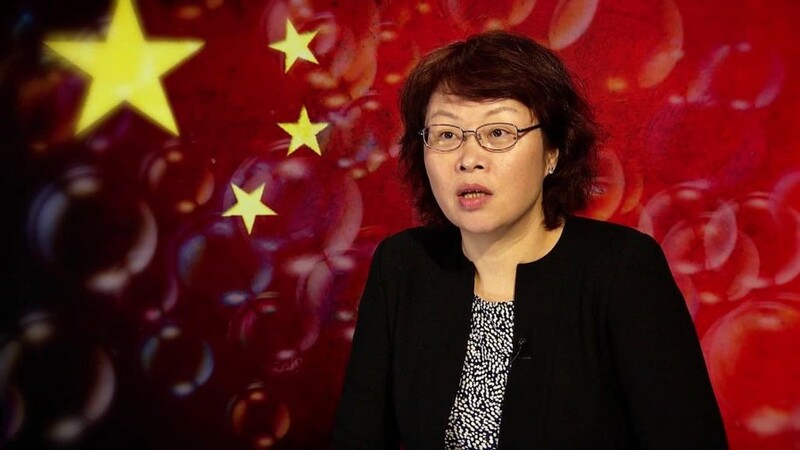 What's happening in Chinese markets? China stocks resumed their dramatic slide Monday as investors pulled out of the market despite a decision by the central bank to cut interest rates to a record low. 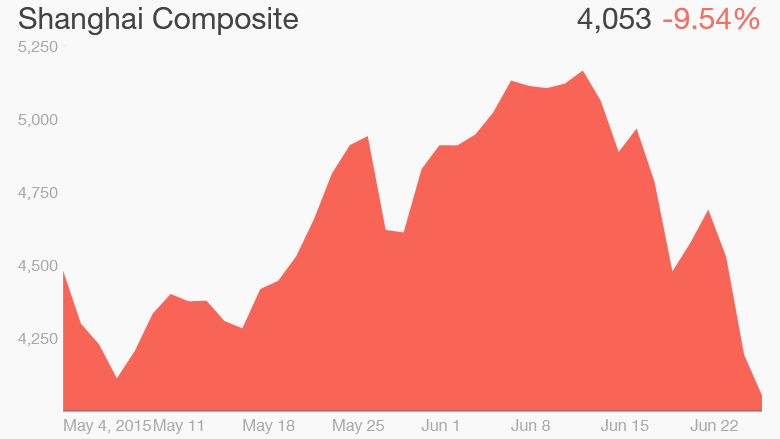 The Shanghai Composite swung between massive gains and losses before closing down 3.3%. The fall pushed China's benchmark index into bear market territory -- defined by a loss of 20% from recent highs. The smaller Shenzhen Composite, which is heavy on tech stocks, also fluctuated before spiraling down 6% on Monday. The dramatic moves could further unnerve investors, who are already reeling from two weeks of dismal performances by China stocks. Investors are increasingly wary of a possible market bubble, a fear that not even the central bank was able to quell. The People's Bank of China cut both its one-year lending and deposit rates by 0.25% on Saturday. In an additional move to shore up the economy and reassure investors, the bank also lowered the amount of cash that large banks must keep on reserve by 0.50%. Analysts at HSBC said the central bank was trying to engineer a "soft landing" for stocks. "This could prove to be a difficult balancing act; and, ultimately, to shore up investors' confidence, earnings growth needs to come through and the hefty valuations for small-cap growth stocks have to come down," the HSBC analysts wrote. Even with recent losses, the Shanghai Composite has surged 25% this year, and the Shenzhen Composite is up 67%, easily making it the world's top-performing index. Related: Don't fear China. Fear Washington. Experts remain generally puzzled by the stock market boom. China's economy is going through a rough patch, with growth now at its weakest pace since 2009. Corporate profits are actually lower than a year ago. In other words, exuberance for Chinese stocks isn't backed up by fundamentals. Instead, it appears the market is being carried higher by various forms of government stimulus and investor frenzy. BlackRock analysts describe the market as one where "sentiment rules, while valuation is an afterthought." "The value of turnover in China's domestic equity markets has more than doubled in 2015, and now often exceeds that of U.S. markets," BlackRock analysts wrote recently. "There are warning signs the ... market has become overheated." In recent years, people in China -- who tend to save significantly more than their Western counterparts -- sunk their excess savings into the real estate market. Now that the housing market has cooled, investors are turning to stocks. The market's performance set off something of an investing mania. According to BlackRock, brokers opened four million new accounts in a single week in April. Of particular concern is an explosion in margin buying -- the practice of buying stocks with borrowed money. Margin debt recently reached a record 8% of the market capitalization, according to Macquarie. "Old Asia hands know this pattern often ends in tears," the BlackRock analysts said. Who gets burned when China's stock bubble bursts?